Description: This electronic publication is a professional quality DVD video interview and discussion with Frederique Le Greves, Vice President, Corporate Communications, Nissan North America, Inc., Gardena, California, USA. Interviews and Edited by Professor Paul G. Ranky, PhD, NJIT, USA. The discussion topics include an introduction and some demonstration of New Product Innovation (NPI) methods and customer-focused solutions in the area of modern automobile design. This publication, amongst others, illustrates some powerful marketing techniques Nissan / Infiniti is deploying with great success world-wide. Description: This electronic publication is a professional quality DVD video interview and in-depth technical discussion with John G. McCandless, National Manager, Corporate Communications - Midwest, and Other Toyota Sales Representatives, Toyota Motor Sales USA, Inc., Detroit, USA, and other Toyota representatives. 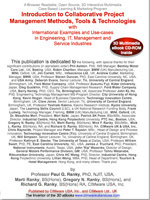 Interviews and Edited by Professor Paul G. Ranky, PhD, NJIT, USA. The discussion topics include an introduction and demonstration of New Product & Process Innovation (NPPI) methods and solutions in the area of modern automobile design. This publication demonstrates new concepts, and some powerful Toyota marketing techniques in the USA. Amongst others, this publication offers an excellent methodology, discussion and even tools, on hi-tech marketing with examples. Amongst others, this publication illustrates how new products are developed and marketed in the digital domain. Amongst others, this publication demonstrates how a new, hi-tech product and system is marketed to professionals. Amongst others, this publication demonstrates how a new, hi-tech software product and system is marketed to professionals. Description: This electronic publication is a professional quality DVD video of the humanoid showcase presentation by Toyota in Japan and the iUnit in the USA. Toyota's Humanoid 2-Legged Walking Robots, Music Playing Legged and Wheeled Robots, the iUnit, a Single Passenger Reconfigurable Vehicle, and iFoot, the Human Controlled Mountable Transportation and the Walking Robot is presented. As in the interview, Masao Kawase, Robot Design Engineer, Toyota Group, Japan, explains, the iUnit is a form of personal mobility, that intends to offer individuals freedom of mobility. Toyota's concept with the showcase you have just seen is to offer expanded human abilities. Toyota believes, that movement brings us new sensations, discoveries and acquaintances, enabling individuals to lead fuller lives. This publication illustrates some amazing, hi-tech prototypes, as well as marketing methods.